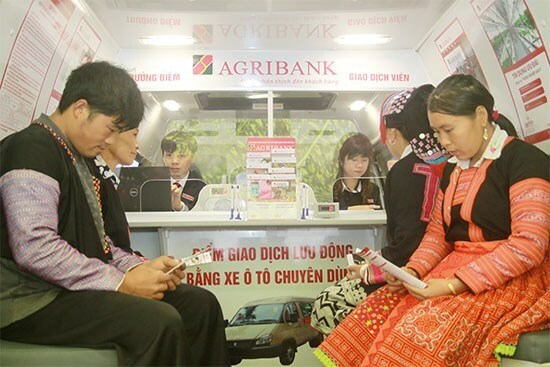 Hanoi (VNA) – The Vietnam Bank for Agriculture and Rural Development (Agribank) conducted over 3,600 mobile transactions using single-purpose cars as of the late February 2019, serving more than 376,000 customers in 389 communes nationwide. Accordingly, Agribank disbursed upwards 1.4 trillion VND (60.8 million USD), collected over 1.4 trillion VND in both debt principles and interests, and raised 471 billion VND in saving deposits. Luong Tien Quynh, Chairman of the Farmers’ Association of Moc Chau district, the northern mountainous province of Son La said the launch of mobile banking transaction points in remote and mountainous areas has contributed to improving local economic growth, agricultural production and lives.